The Mega Run-about ball measures 13-inch in diameter and is the biggest ball available anywhere. Now provide larger pets with the freedom to exercise. Bigger pets can now enjoy the world around them inside these colorful, over-sized exercise balls. It's an excellent source of exercise for pet rats and chinchillas. 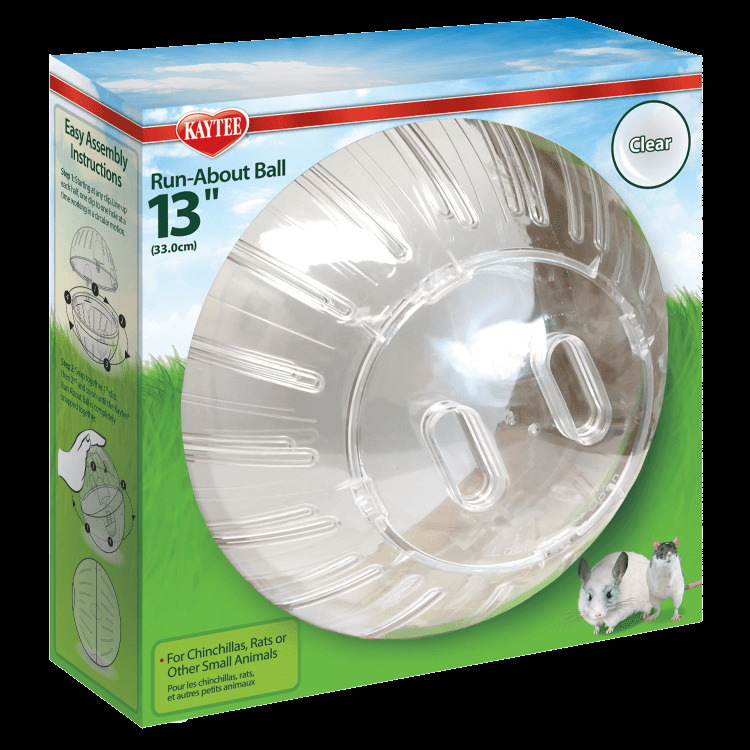 The Mega Run-about ball also fits perfectly onto Kaytee Hamtrac for the safest and most controlled exercise environment. 13" x 13.63" x 14.5"